I've installed uncoupling magnets and such, and have found that i can have lots of fun with this small fictional VR scene, I've included a photo below for now, hopefully more posts soon. Looking excellent there Alex. One thing you can add to the layout is to think about what type of goods the town expects and what is going out. For example, I see a U van, these were mainly used for perishables, so maybe you can say that every Tuesday and Thursdays, this town is expecting a U van as an empty IN, and after loading perishables OUT. 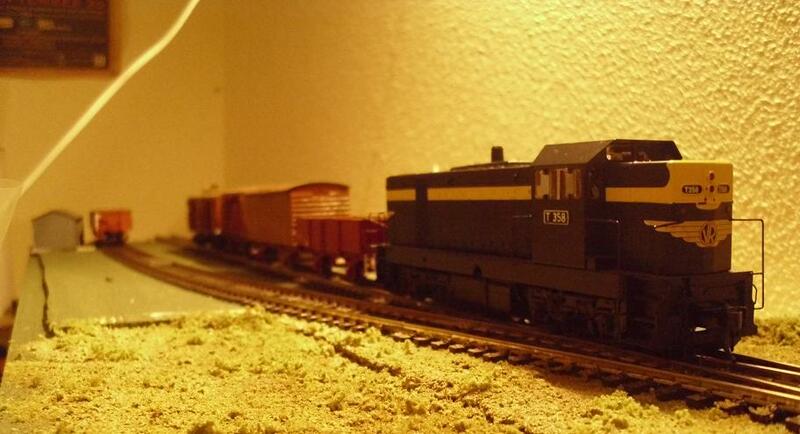 I like to think about what each wagon on my layout is doing there. Off couse if you have a B van, you can say that this town expects newsprint and then the van either goes out the next day empty or with general merchandise. Hope that helps to make your layout little more interested. Good work so far. That's a great idea Shelton, i'll have to give some thought as to what the goods may be, You've given me a whole new perspective to look at and i appreciate that.